Super Mario Bros.: The Movie – What Bugs Us? Just in time for the film's 20th anniversary, we look at its biggest flubs. Oh, Super Mario Bros. You are indeed a great game series, one that will live on in infamy…unless, of course, it's in the cinematic world. Back on May 28th, 1993, Hollywood Pictures released Super Mario Bros.: The Movie, under the direction of Max Headroom creators Rocky Morton and Annabel Jankel. 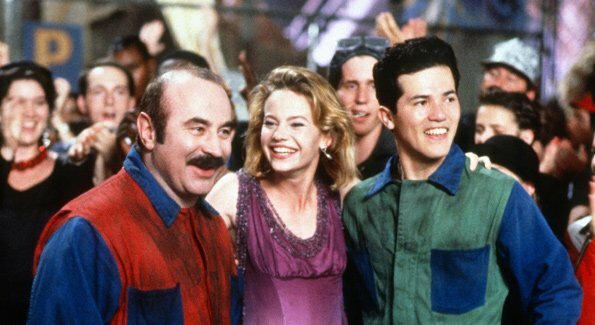 The film, with a $48 million budget, was an attempt at bringing the game franchise to the big screen, with Bob Hoskins cast as Mario Mario and John Leguizamo as Luigi. And the project back-fired. Big time. The movie turned out to be a laughable mess – at best – and barely grossed back half of its inflated budget. As a result, it was written off as one of the worst video game-licensed movies ever, though some people still like to watch it as a cult favorite. And let's be honest, it's prime for Rifftrax-style joke-making.